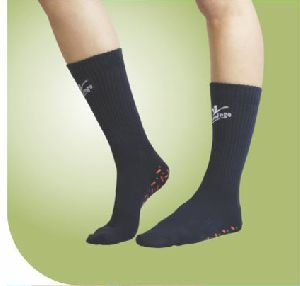 We are offering anti slip socks. Anti-bacterial treated, kills 99% bacteria, keeps you fresh, absorbs sweat quickly. We are offering anti slip baby socks. Keeping in mind the diverse requirements of the clients, pink & blue india offer wide range of baby socks that are delivered in different attractive colors, sizes and patterns. We boost of the best selection of baby boy, baby girl, and gender neutral socks in india. We provide them in a wide range of colors, styles and patterns for those cute little feet.